From July 14-17, 2016 a record breaking 180,000 music enthusiasts flocked to the remote community of Pemberton, BC to experience 4 days of immersion in culture, music and revelry. Providing medical services to a temporary city of transient visitors looking to have an epic experience requires significant planning and preparation. With average yearly temperatures reaching nearly 40°C/104°F in the Pemberton Valley, the possibility of heat stroke and numerous other serious or life threatening health-related emergencies is very real. The thousands of campers living on the site, moving over 100 acres of unfamiliar territory, and celebrating twenty four hours per day, presents a real challenge for the medical and emergency care provider. Rockdoc is highly experienced and has an unmatched track record of safely caring for thousands of patients at numerous music festivals; effectively reducing harm and the number of patients transported to the ER from such events for over ten years. With such a huge footprint at the Pemberton site along with forested areas and water hazards, locating and achieving timely response is a challenge. Additionally, with a team of nearly 200 health care providers the constant traffic on the radio network can make urgent communication difficult not to mention the high ambient noise that exists at a music festival. 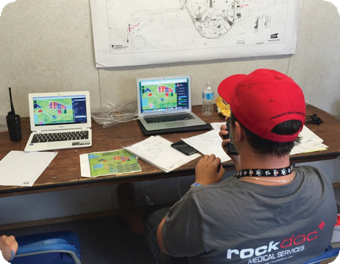 Rockdoc turned to a trusted commercial technology from CommandWear Systems Inc. used at the 2015 festival to improve the capacity of their dispatch team. The objective was to visually pinpoint calls for service, identify closest resources, and get the “right” responder(s) to the correct location each and every time with an accurate record for analysis and reporting. 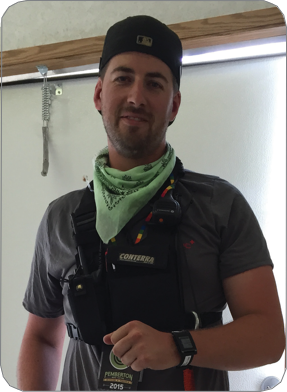 CommandWear provided Rockdoc with its turnkey, “6 Pack” portable situational awareness solution. 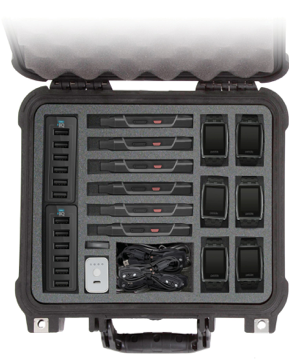 Each rugged case includes 6 smartphones, 6 smartwatches, chargers and licenses to support 10 users including responders in the field, dispatch and command personnel. Additional users were added by simply downloading the CommandWear app to their personal iPhones and Android smartphones. The phones and smartwatches were deployed to various members of the medical team including roving response teams on foot (Rovers), in an Ambulance UTV (all-terrain vehicle) and on five Golf Carts, and supervisors. Dispatchers and Shift Supervisors logged into the web-based Commander application from laptops and tablets. CommandWear enabled first responder teams, vehicles, and area supervisors to be constantly connected and visually located and tracked by the dispatchers. In preparation for the event, CommandWear provided a one hour orientation training session to the dispatchers, the system was configured for operational use in about 15 minutes and Rockdoc field teams were given a couple minute brief on how to acknowledge and send messages as the phones and watches were handed out. An opaque festival plan (map) was overlaid on the CommandWear mapping system (Google™ Maps) to give Dispatch a clear picture of exactly where each Rockdoc roving and mobile team member was located across the temporary Pemberton Music Festival 100 acre city. Over the 4-day event, 160 messages were sent/received by the teams and the smartwatches and phones easily lasted through 24-hour shifts. There were no cellular communications issues negatively affecting CommandWear’s GPS and data communications, despite the heavy congestion that often causes intermittent communication failures (this is achieved because CommandWear uses the data channel on 3G and 4G LTE networks). The smartwatches allowed responders to receive dispatch messages quickly and clearly – messages that would have easily been missed or misunderstood using traditional radios in such a noisy and chaotic concert environment. There were times that the concert volume made the radio hard to hear, and having CommandWear as a backup was highly valued; many responders started using their smartwatches to acknowledge radio messages. This not only helped speed up response times, but it also decreased radio traffic, leaving channels clear for other emergency communications. During one incident, a Rockdoc team member who was off duty saw someone collapse and there was the need for a spinal immobilization response. He was in the middle of a crowd of 50,000 people and had no idea how to get transport in or out. Fortunately, he had downloaded the CommandWear app on his personal smartphone so dispatch new exactly where the patient was and how to best get the UTV through the crowds. The system helped to make the response smooth and efficient. Request a copy of this Case Study in PDF format.